Will this Penn Mom Gain or Lose Weight with her "You Are What Your Kids Eat" Experiment? Emily Rosenbaum (C'95, Grad Ed '96) is a supermom of 3 kids and a popular blogger with a very interesting experiment. Over the next 2 months, she will not be serving herself an actual meal, but will just be eating whatever her 3 kids leave behind on their plates. More about her experiment after the jump! 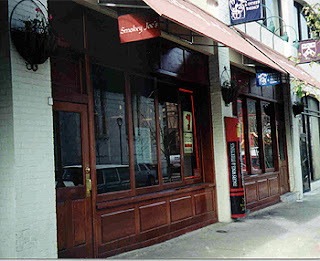 Looks like Smokes, Penn's popular drinking establishment just got ranked #4 on the Complex's "50 best college bars". Another story of 2 alumni changing careers, and working together after Penn. 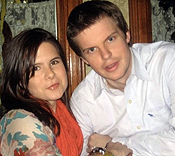 Dana Kanze (W'01, Kappa Alpha Theta, Penn Fund caller) and Mason Sexton (C'01) founded Moonit.com, an online media property that offers relationship compatibility based on astrology. and how they came to find this new online business! Last week Kiera Reilly (C'93) sent me an obituary of a very notable Wharton alum who passed away a few weeks ago. Find out more about this alum and the food he invented after the jump!